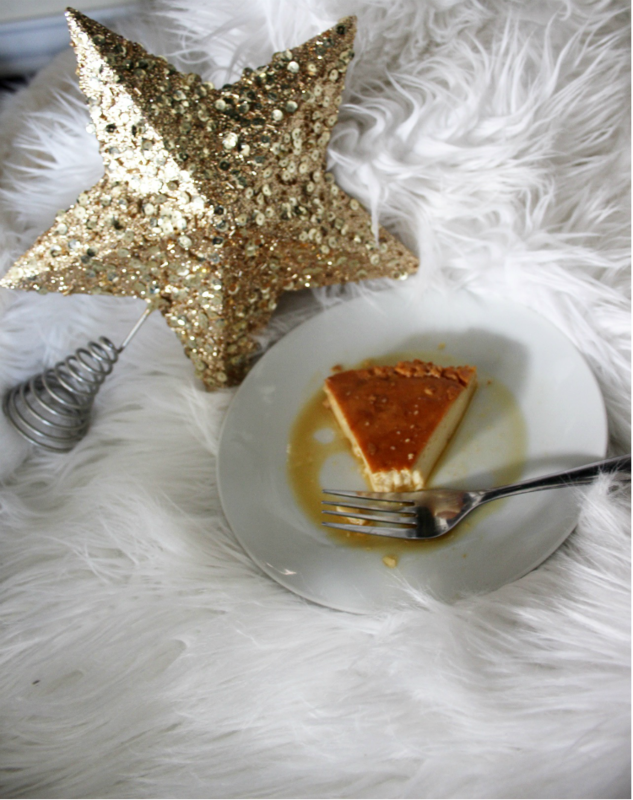 My favorite dessert to make during the holidays is FLAN! 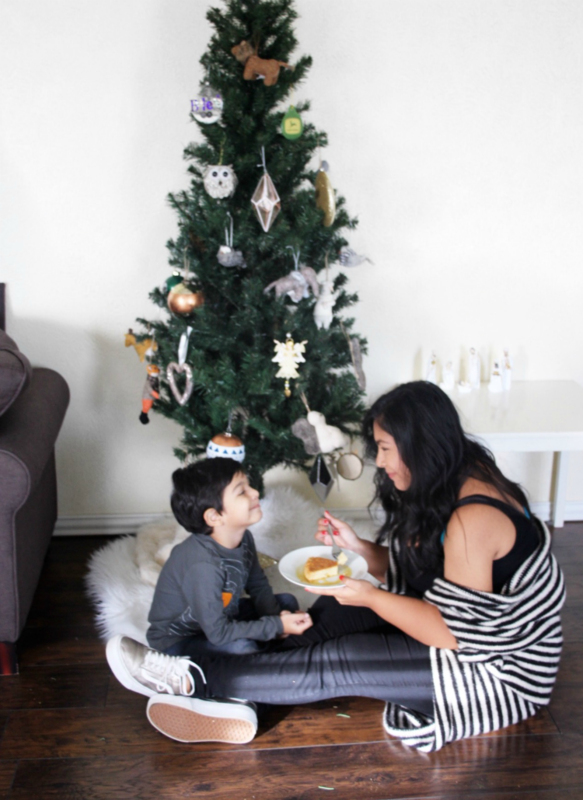 Flan brings back so many childhood memories and family traditions. 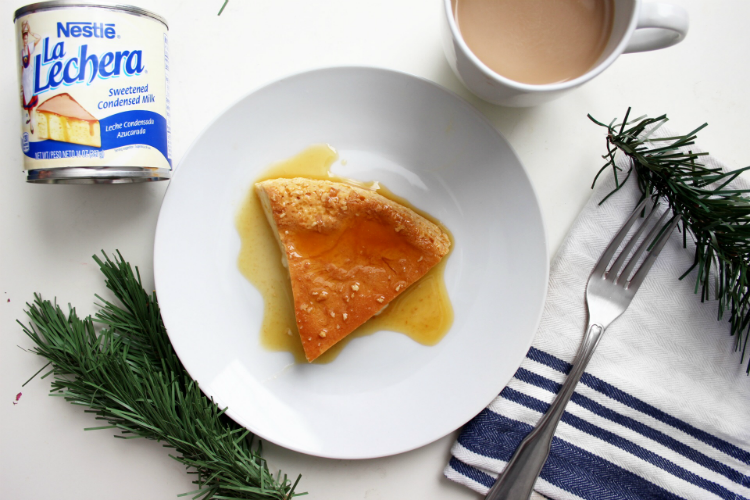 Everyone has a different way of making flan. 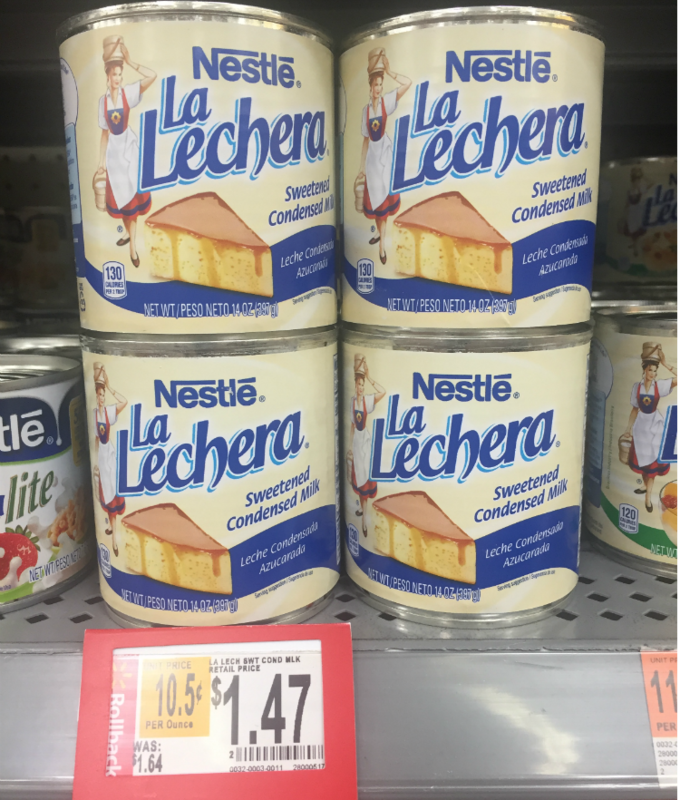 But there is one ingredient that everyone loves to use, NESTLÉ® La Lechera! 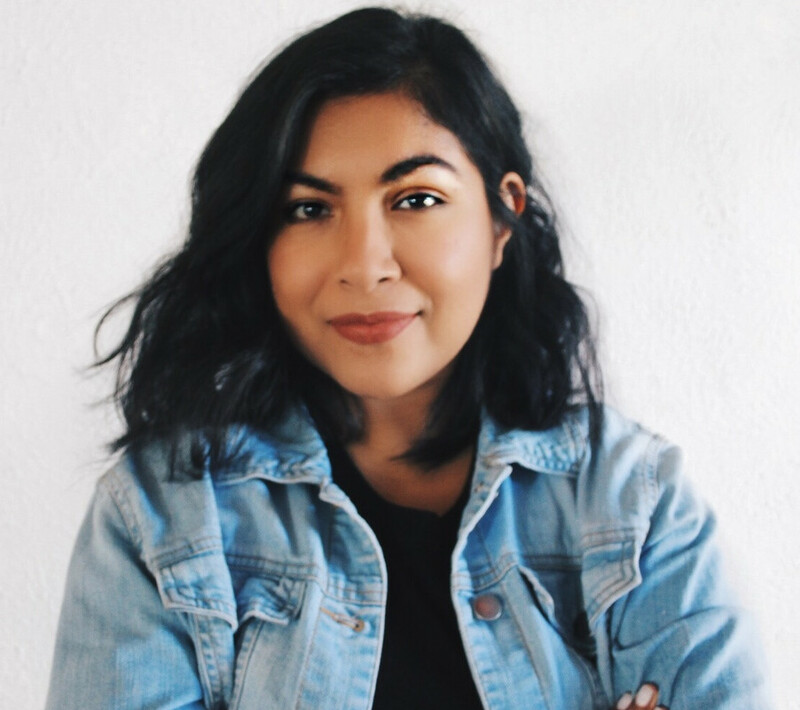 La Lechera has been passed on from generation to generation is most Latino families. I know my grandma uses it, my mom used it, and now my sisters and I always have La Lechera on hand. 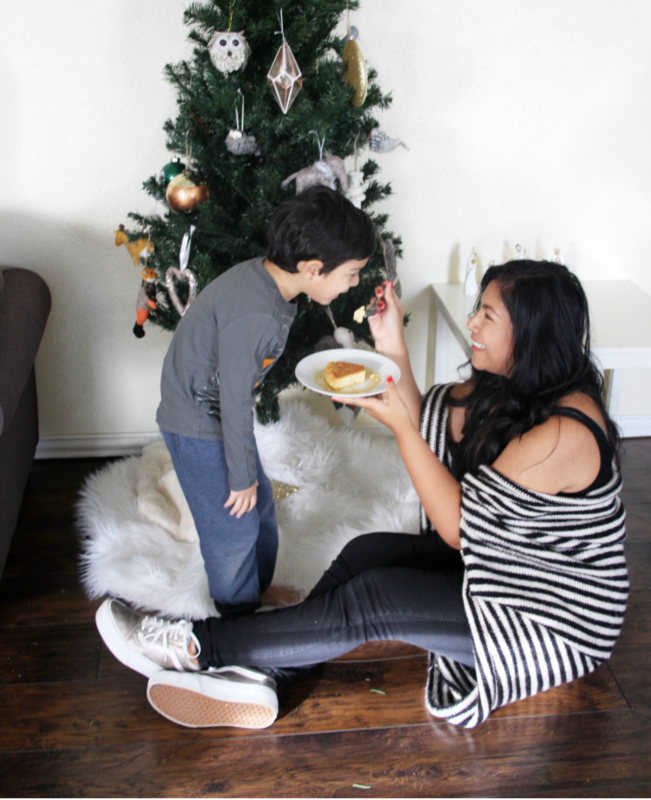 I try my best to continue family traditions with Evan, and he loves it. He loves helping me in the kitchen, but enjoys eating whatever we cook up more. This is my first flan of the season and it turned out SO GOOD! 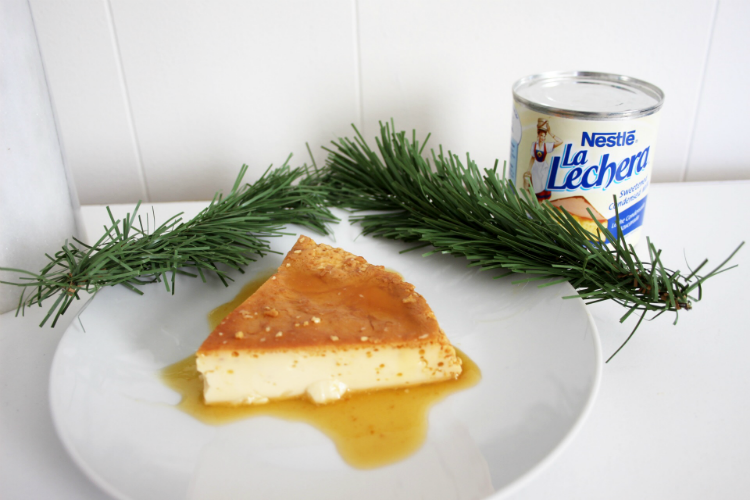 This flan is so easy to make and you can ditch the oven for this dessert. My grandma taught me how to cook it on the stove, and I think it comes out better. 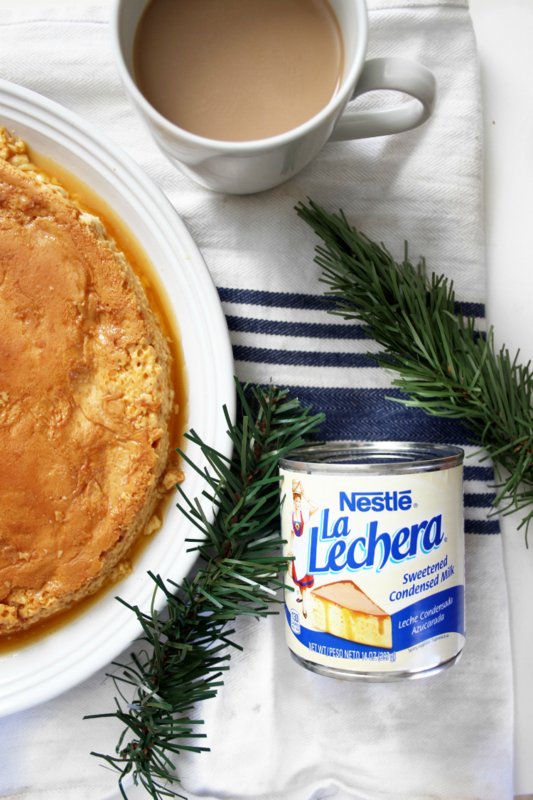 I hope my steps are easy and your flan comes out spectacular this holiday season.😋 Make sure to visit your local Walmart and pick up a few cans of NESTLÉ® La Lechera. Happy Holidays! 1. In a small nonstick saucepan, heat the sugar over medium heat. Brown the sugar until it becomes a dark golden brown. Pour the caramelized sugar into your dish, and swirl to coat the bottom of the dish evenly. 2. In a bowl add La Lechera, evaporated milk, milk, eggs, and vanilla together. Mix everything together until you get a creamy texture. 3. Pour over caramelized sugar. 4. Cover your filled dish with foil paper to help your flan stay moist and cook evenly. 5. On your stove place the filled dish into a large pot and fill with water until it reaches half of your dish. We call this "baño maria" or water bath. 6. Once the water starts boiling cook for 30 minutes. 7. With a toothpick check to see if your flan is fully cooked. If it comes out clean, refrigerate, and enjoy! For more La Lechera recipes and inspiration CLICK HERE!